Warning: This post has nothing to do with employment law. However, it is about the law and football. And, we’ll all have a good laugh about it. 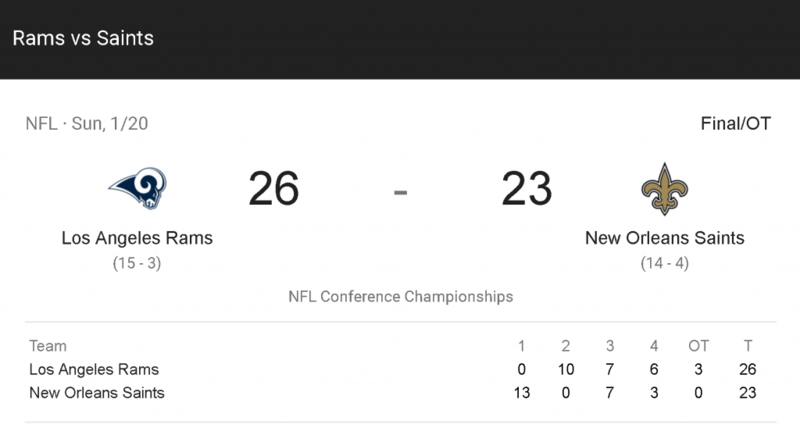 If you watched last weekend’s NFC Championship Game between the New Orleans Saints and Los Angeles Rams, you know that the Saints got hosed by this fourth quarter missed pass-interference call. It basically cost the Saints their chance at the Super Bowl. Distrust of the game which has become the National pastime. Other damages itemized at the trial of this matter. Yep, in an action filed earlier this week in Civil District Court for the Parish of Orleans in the State of Louisiana, “Tommy Badeaux and Candis Lambert, individually and on behalf of New Orleans Saints Season Ticket Holders, New Orleans Saints National Fan Base a/k/a The Who Dat Nation and any party with interest that has been affected by the outcome (of the game)” want justice! [A]ny time the term “lawsuit” arises that the general public believes it was filed for financial reasons and compensation for damages. The petition filed by our office was not a petition for damages, but rather a petition for a Writ of Mandamus which seeks equitable relief and NOT monetary damages. It’s literally up to the Commissioner. The New Orleans Saints can’t compel the Commissioner to do anything. I’m not sure how, as a matter of law, the fans can force the issue either. But, wait. There’s more (wishful thinking). That’s when I kinda glazed over. But, then I regained focus and saw that the lawyers requested that the Commissioner act under Rule 17, Section 2, Article 3. The Commissioner’s powers under this Section 2 include … the reversal of a game’s result or the rescheduling of a game, either from the beginning or from the point at which the extraordinary act occurred. In the event of rescheduling a game, the Commissioner will be guided by the procedures specified in 17-1-5–11, above…. So, conceivably, the Commissioner could order a do-over, either from the start or from the missed call. Except, as Mike Florio notes (here), as of the Wednesday evening, the NFL has not issued a public statement about the call. If either law firm wants a Court to force the issue ***checks watch*** time’s running out. Me? I’m betting on a Rams/Patriots Super Bowl.